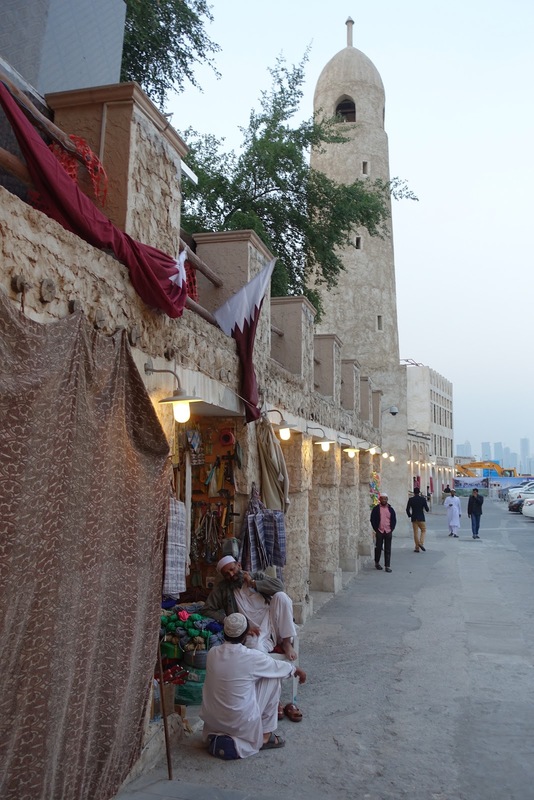 When I came to Doha, Qatar for the first time, the first place I wanted to visit was Souq Waqif, translated to 'The Standing Market." It is one of the main tourist attractions in the city that bring both tourists and locals together to eat, socialize, barter, and browse. 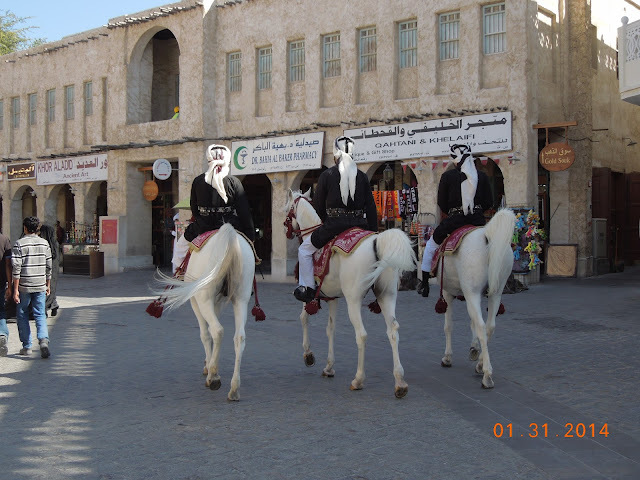 A friend who recently visited described the Souq, "To just sit and watch the people and smell the aromas is amazing--the animals and birds in the pet section, the men sitting in their wheelbarrows (or trolleys) waiting to bring someone's shopping bags to their cars, the colorful fabrics, the children chasing pigeons while their mothers laugh.... Can we go back tonight?" 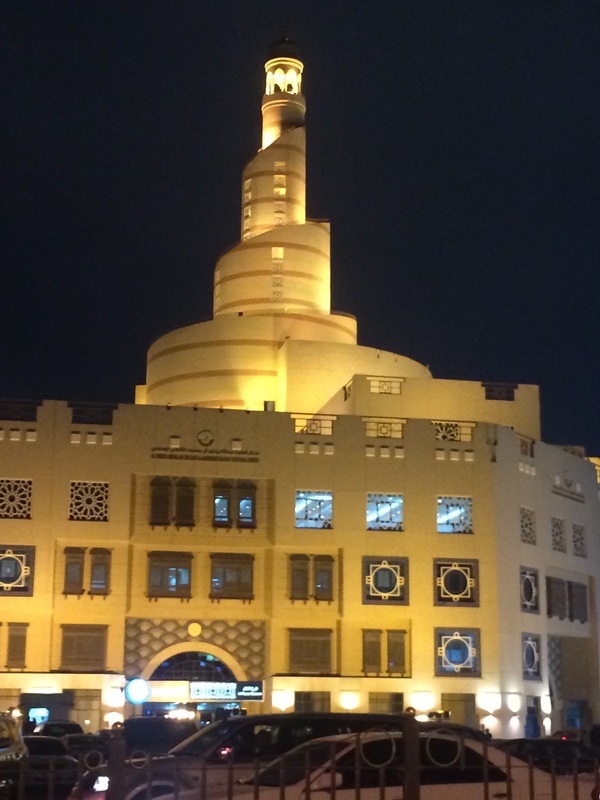 Although the buildings are new, renovated around 2006, it is a picturesque cluster of adobe-like buildings with Middle Eastern charm. 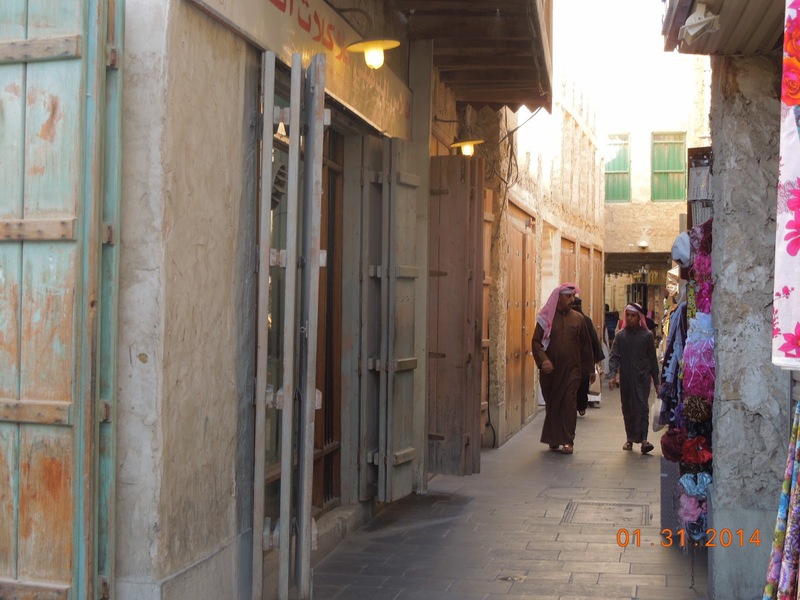 Stony streets with booths on each side, and narrow, twisting alleyways boast crafts, kitchenwares, spices, fabrics, and antiques. 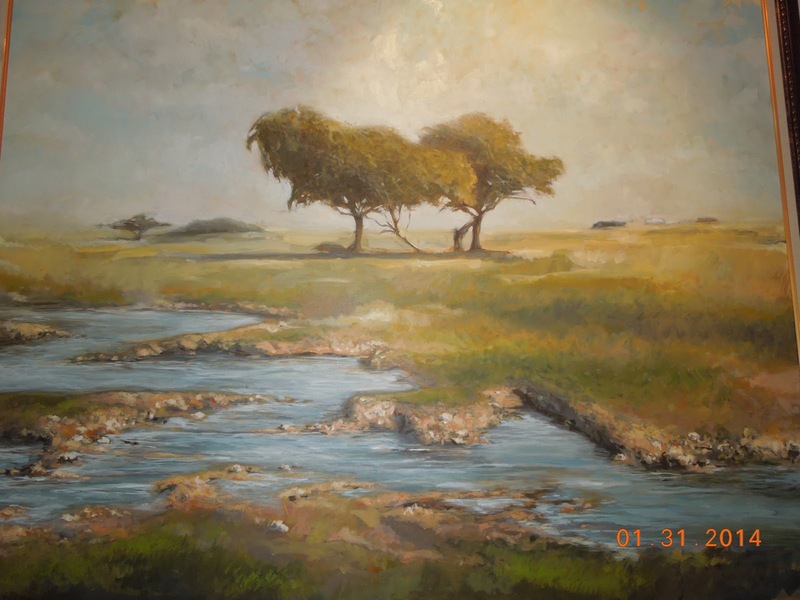 One hundred years ago the area was a Beduin trading post where animals gathered and were traded. But now the area, in close proximity to the Corniche (harbor with dhow boats), is a draw for people all over the world. 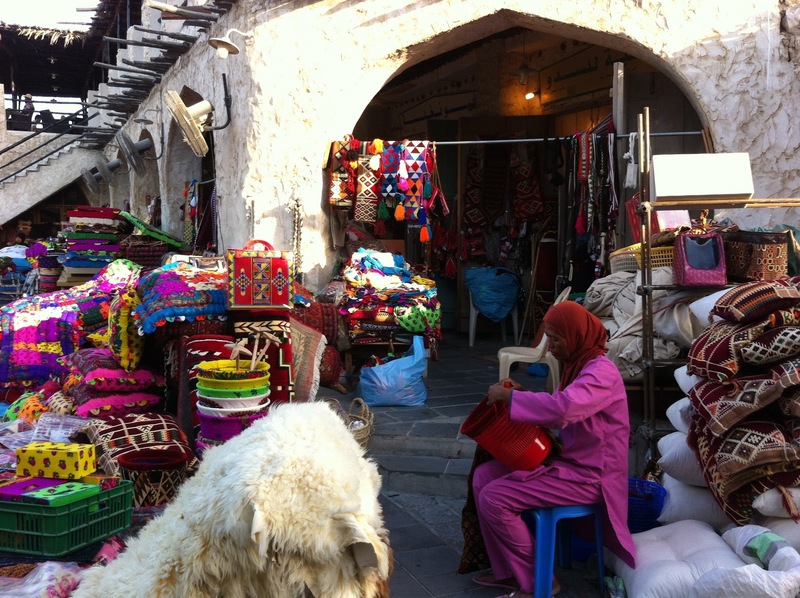 Dozens of languages and accents can be heard as you stroll around the market. Festivals are held for various holidays, with parades, light shows, donkey and camel rides, carnival rides. 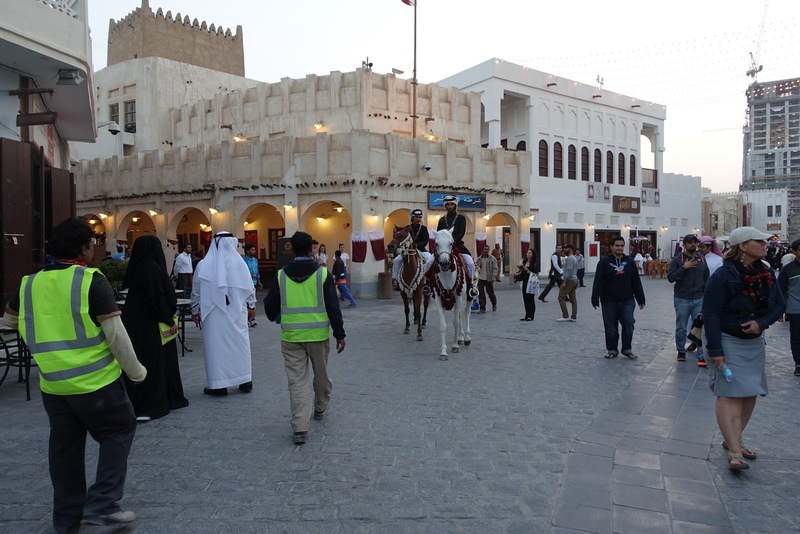 Adjacent to the Souq, is even a Falcon Hospital where you enter into a world of Middle East falcons. 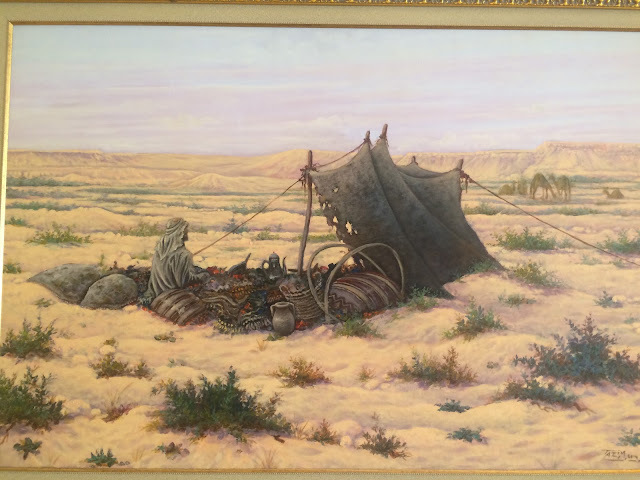 For those who want to view Middle East art, there are several art galleries that teach some classes, such as painting and sculpture. 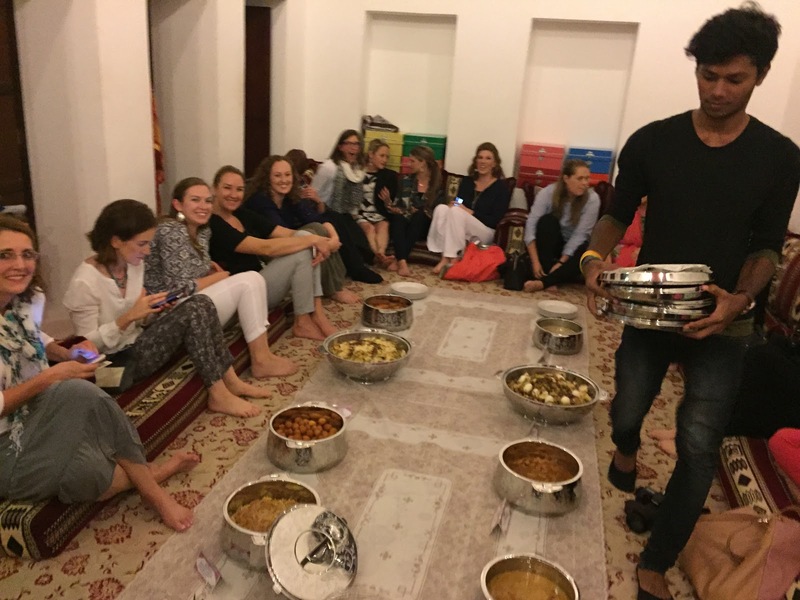 And if you want to explore the restaurant scene, there are dozens to choose from, such as Malaysian, Lebanese, Iranian, Egyptian, Turkish, Italian, Moroccan, and Syrian. You can even find French and Belgian pastries too. Spices from all around the Middle East abound in big bins, stashed with spices, nuts, teas, and herbs piled up. Fragrant aromas swirl around you, from dried rose buds to curries. 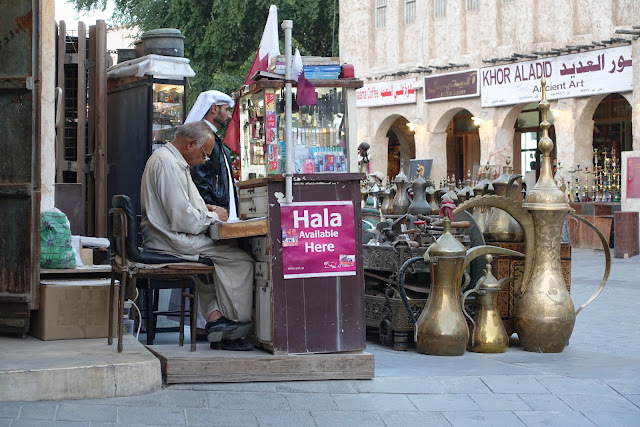 Live musicians play in different corners of the market, along with five daily prayers from a nearby minaret that stream in through the speakers. 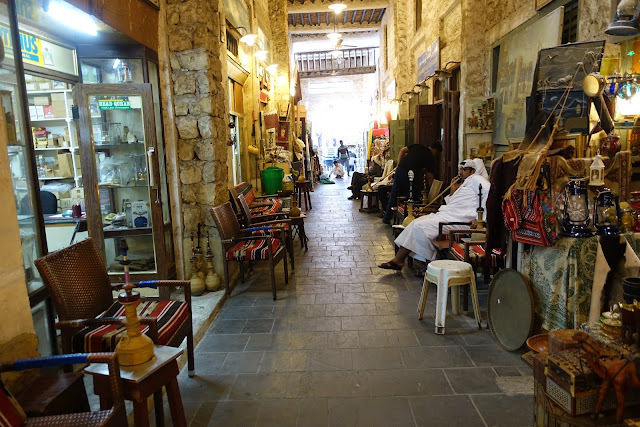 Souq Waqif is always an exploration--an enchanting setting to find a new piquant spice for a recipe, seeing little bunnies dressed up in clothes in the pet section, hearing Syrian music for the first time, conversing with someone from another country you have never visited (like Yemen). 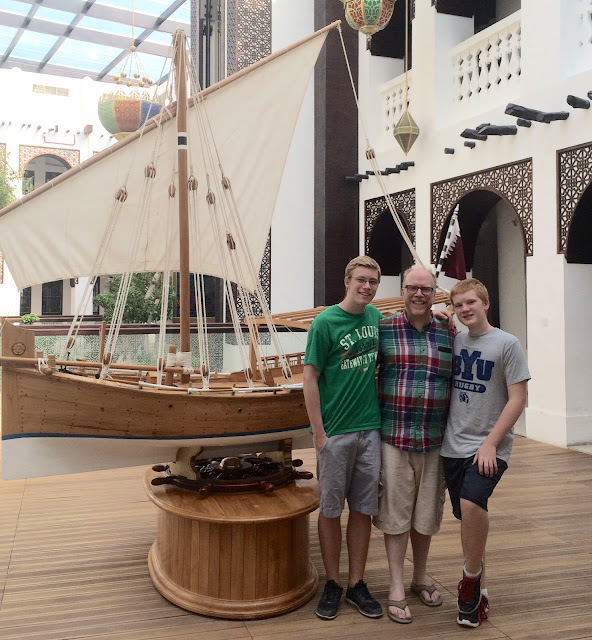 Tonight at the Souq I played a Bedouin instrument, a rahaba, and we ate at a delectable Persian restaurant. Here is a tour of the Souq Waqif in Doha, Qatar in photos--a place that is far more than a market or tourist attraction. It is a gathering place that brings the world together with laughter, understanding, and friendship. 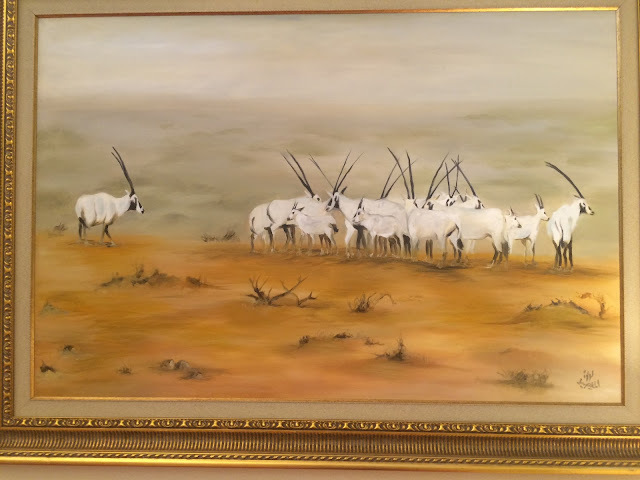 As my friend said last night after eating at a Persian restaurant with a most attentive, kind Iranian waiter, "People need to know what a wonderful place this world is. People need to know." At a stall in the handicraft section, where you can buy Bedouin ware. 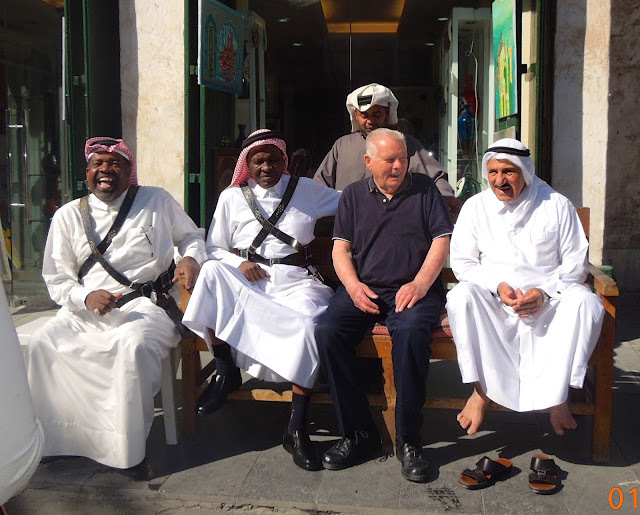 A young Syrian man who quickly became our friend is playing the rahaba, an ancient Bedouin musical instrument. 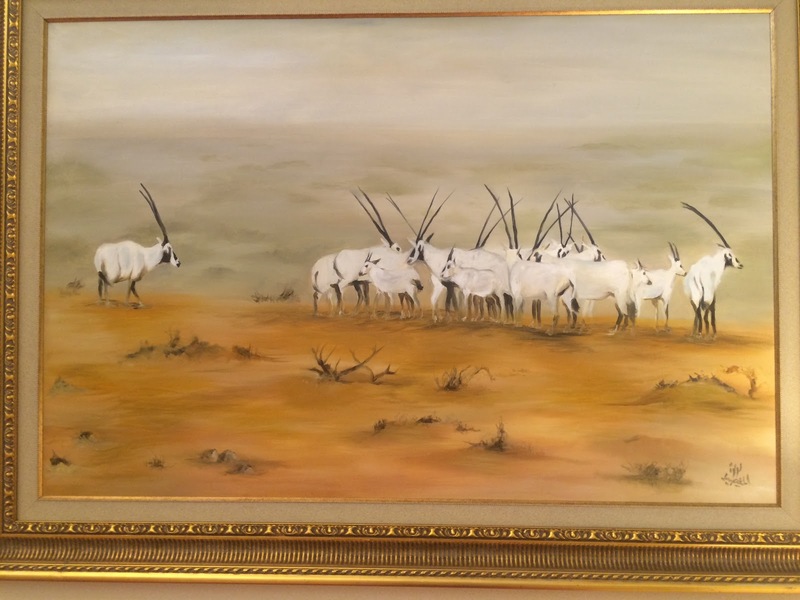 It is made out of goat skin, and has one string. We were roaring with laughter as we played Jingle Bells. 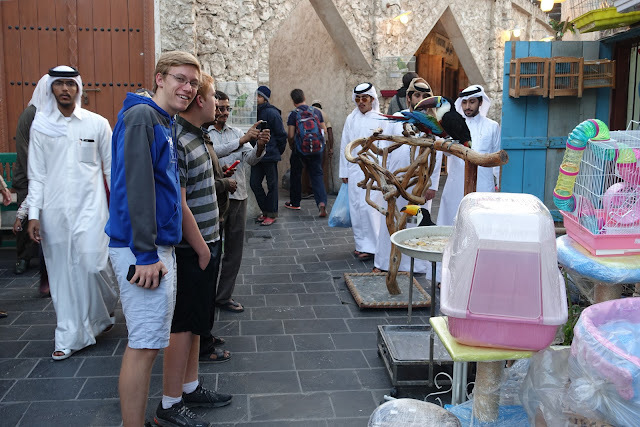 My son in the pet section of the Souq, with a new friend on his back. Two of my sons in the pet section. Dogs, cats, lizards, rabbits, and birds are fun to watch in the pet section. 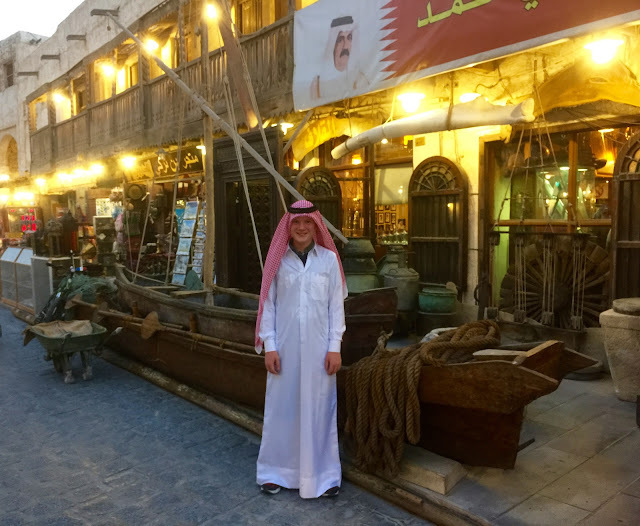 We met this 14 year old Qatari boy at the Falcon store where he was buying a new ring for his falcon. I said to him, How long have you had him? He answered, "Two years, but I have had falcons for five years." As he looked at him and stroked his feathers, I asked him, "Is he your friend?" He then looked at me and said, "He is my brother." A woman making crepes in the market. 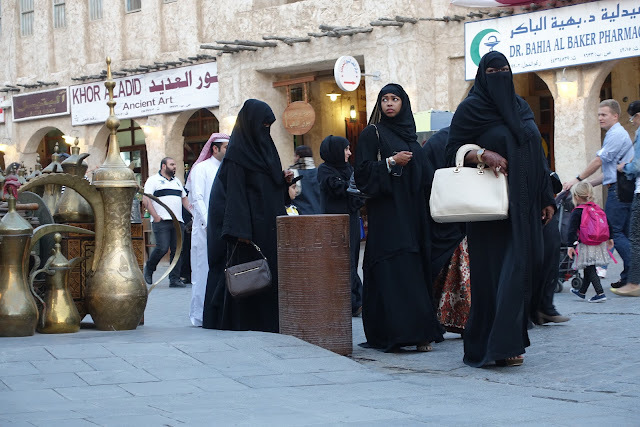 The Arabic variety are more thin and crispy than the French crepe. Two Egyptian brothers selling their gorgeous lamps that their father makes in Egypt. 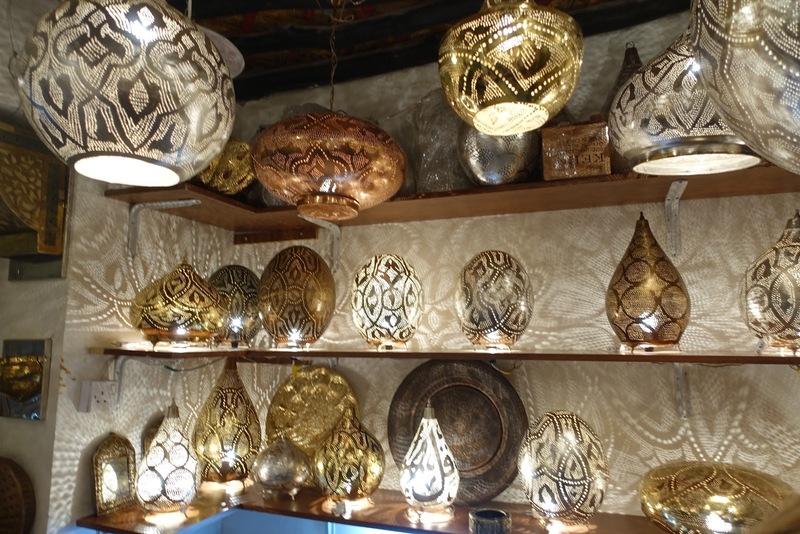 My favorite stall in the entire souq is where they sell Egyptian lamps.They are metal, in gold or silver (not real), and cut in a variety of designs. Meeting my friend, Ashkok, from India, unexpectedly at the Souq one night. A Syrian restaurant called Damasca One, with the best lentil soup I have tasted in the Middle East (besides from my Jordanian neighbor). 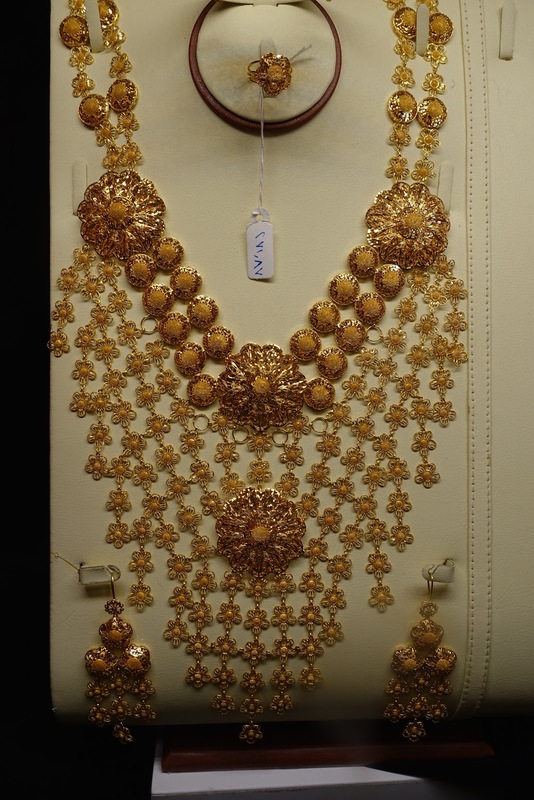 There is a special Gold Market where you can buy all kinds of gold and silver. In the Gold section at the Souq, you can buy some exquisite bling that looks like it could belong to Queen Nefertiti of Egypt. 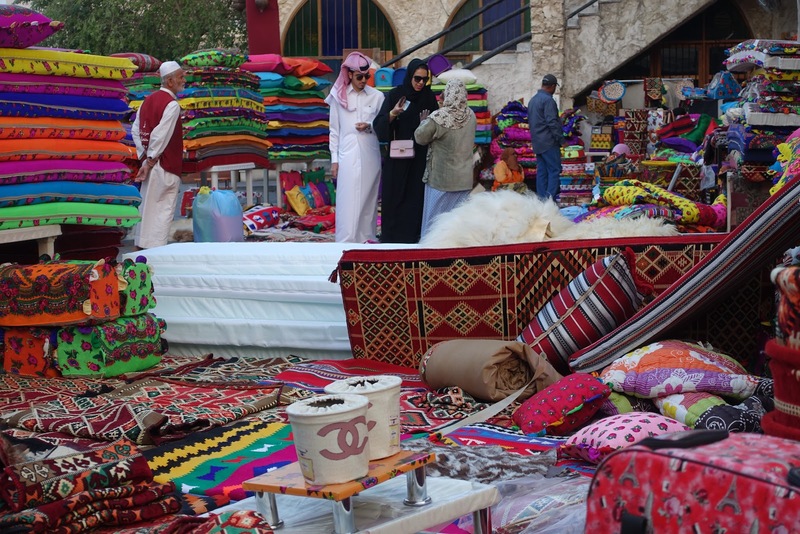 Some customers trying to buy some pillows in the cushion stall. 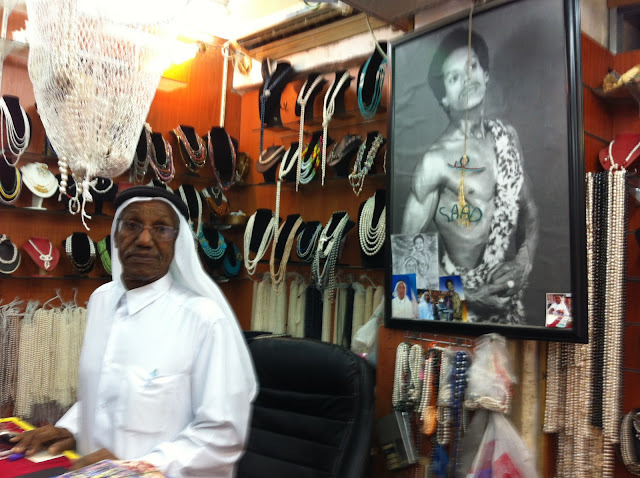 This man who owns The Pearl Shop in The Souq, was a former famous boxer and pearl diver. Above him is his picture about 50 years ago as a famous Qatari boxer. This Philippine woman is always sitting in the same chair weaving baskets. 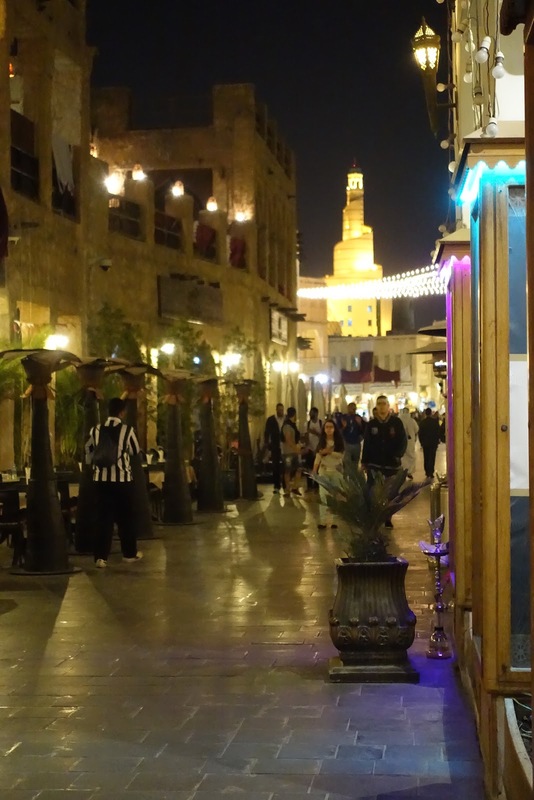 In front of The Souq at night, showing the Ferrer. 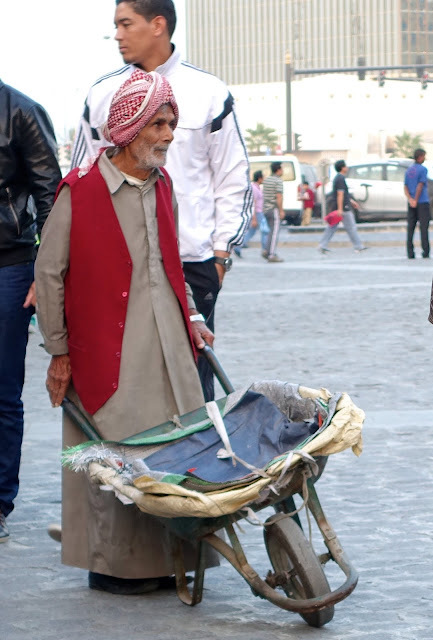 Older gentlemen from India, Pakistan,Bangledash, and Sri Lanka push wheelbarrows for people who have a lot of bags to tote to their cars. An alleyway of souvenirs--leather, dishes, fabrics, cushions. A watch repairman from Pakistan works in his small booth near an antique shop. You see the vases can be as tall as an adult. 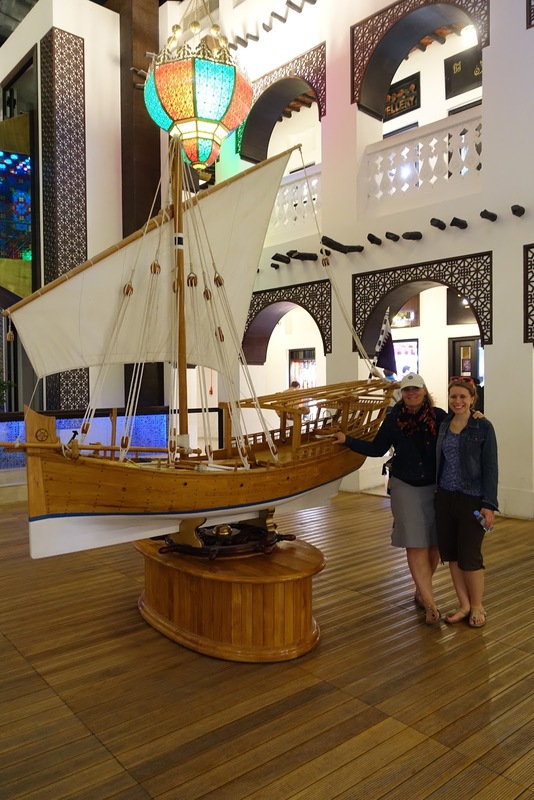 In the Gold Souq with a model of a pearl boat that was used for pearl divers in Qatar for hundreds of years. 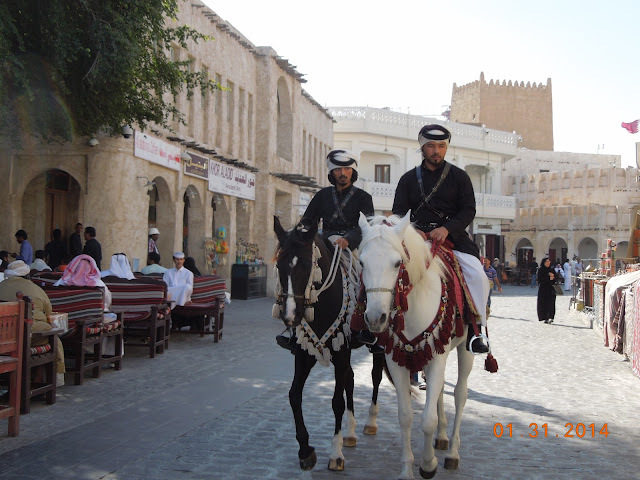 Some policeman with the red scarves on, and some other friends my dad had just met at The Souq. Friends and family love to gather there to chat. 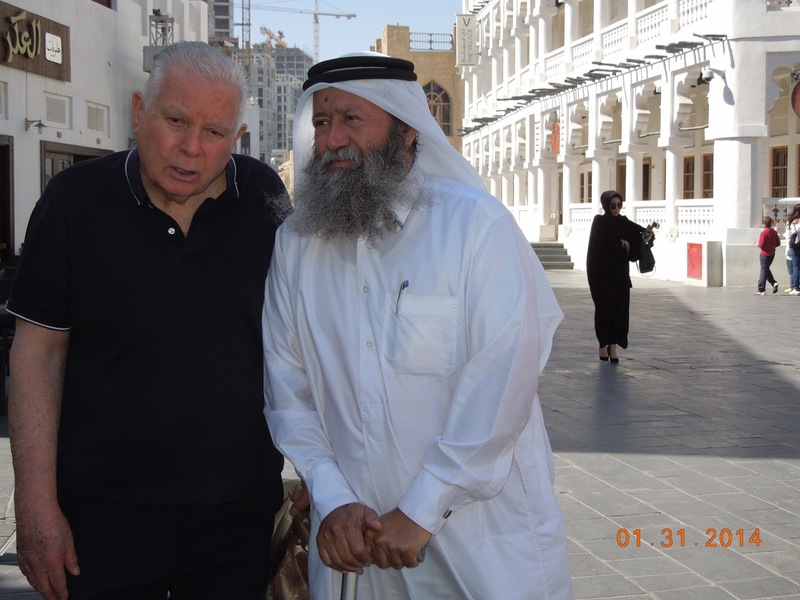 My father while he was on his visit last winter enjoyed speaking to new friends in the Souq. Sometimes my mom and I would wander around the stalls, and he would find new friends to talk to for an hour. 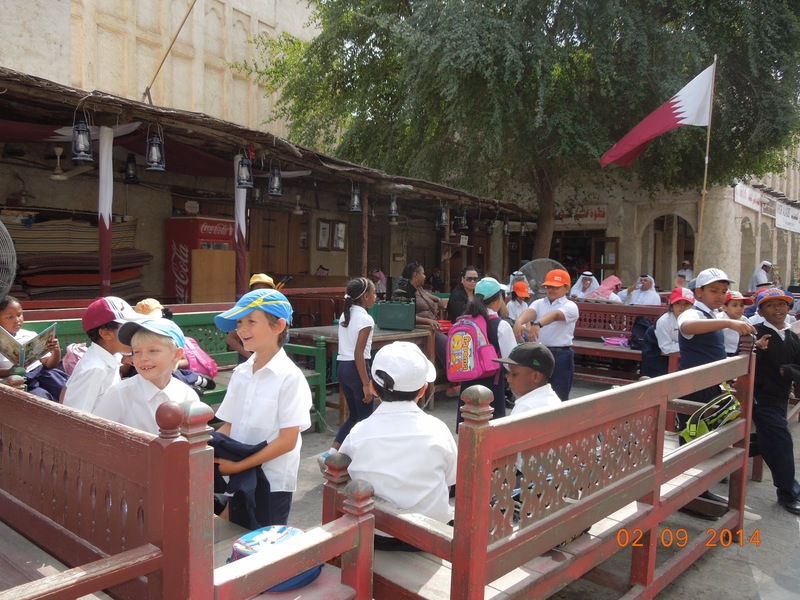 A field trip of an elementary school play on the many benches situated around The Souq. In the Middle East, there are always benches and comfortable couches with an abundance of pillows to sit on. Elias, outfitted in his thobe, in front of an old pearl diving boat. Nearby there are the antique stores. My favorite antique are the old doors. 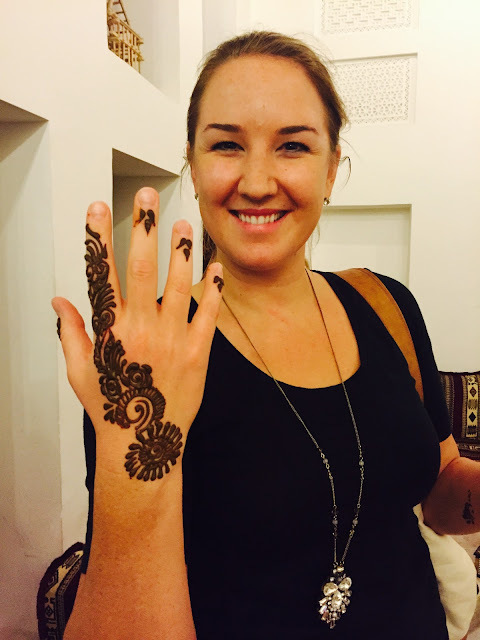 A friend who just had henna painted on her hand in The Souq. 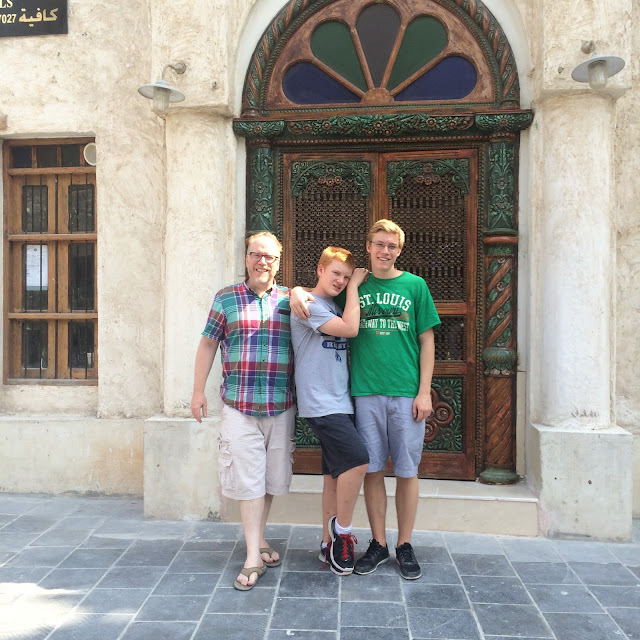 Standing in front of a beautifully carved door. Some people buy old doors, and build a table with it--simply gorgeous. 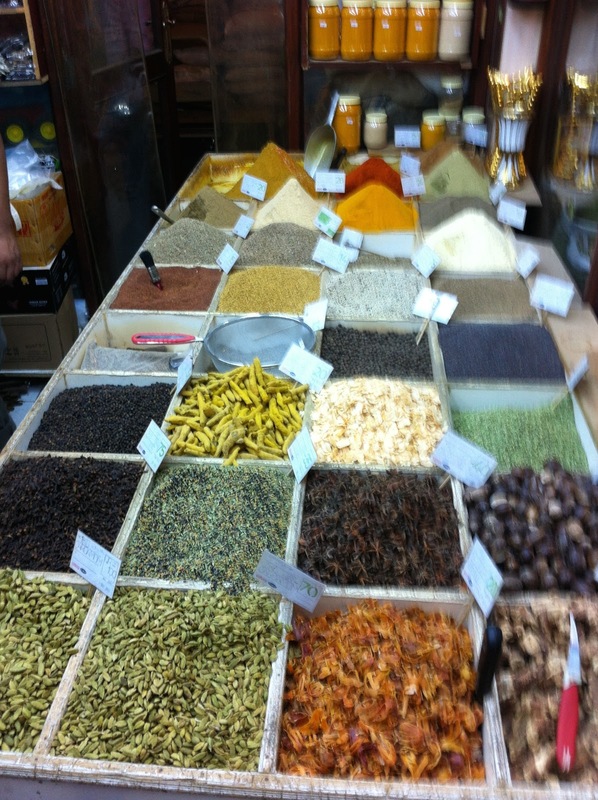 Spices in every color, texture, and shape. 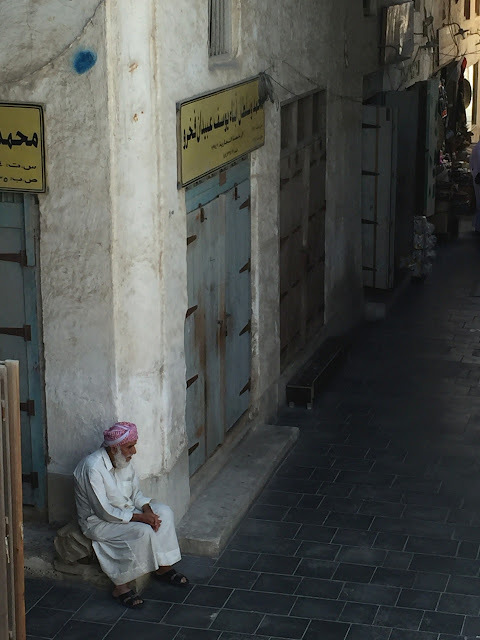 Standing above on a balcony in The Souq, watching an older man linger in his thoughts. In every corner and crevice, there are moments to remember and learn from. The people who come from all over the world bring The Souq to life. On a cold December night in the Souq (about in the 50's F) listening to a Syrian band. Tresa, my friend, in a candy store, finding a giant lollipop. She said, "It's bigger than my head!" I love how there are a lot of things outside, much more pleasant way to shop than in a big store. 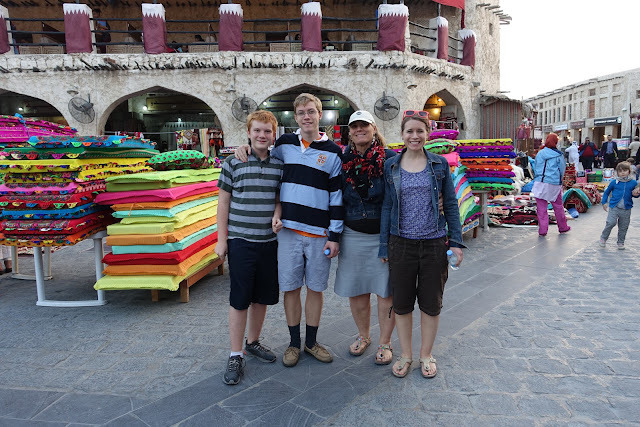 Love it Maryan, the souq is my favorite.